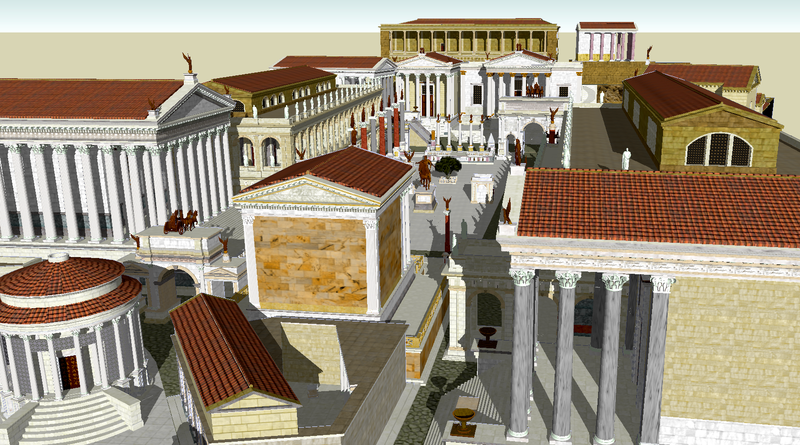 How Did Rome’s Vitruvius, Become The World’s First Subject Matter Expert (SME) on Architecture? 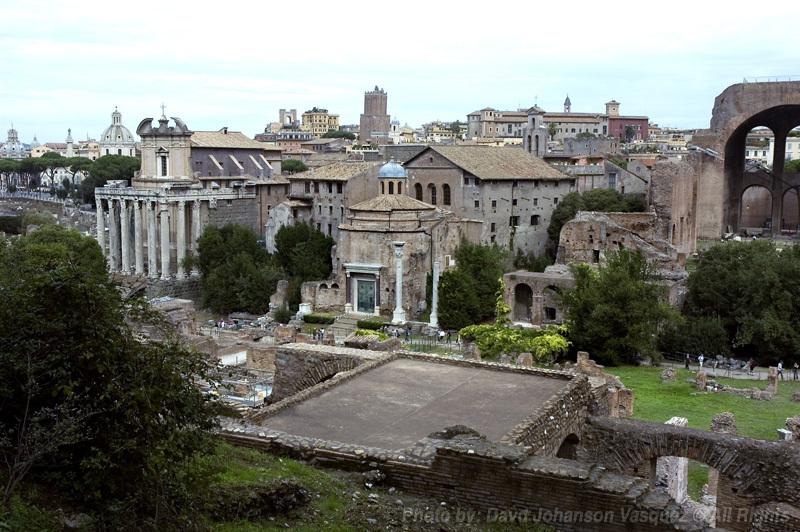 The first historic footnote on Marcus Vitruvius Pollio, was not of his role as an architect —but for his military engineering service for another overachiever, Julius Caesar. Vitruvius first job description involved being in charge of a Roman legion’s heavy artillery —the terrifying Ballista or catapult. Ironically, this future architectural genius was responsible for destroying opposing structures that came before his weapons of mass destruction. You could say, Vitruvius, literally had a major impact on architecture throughout the arc of his careers. Vitruvius’ date of birth is recorded around 90 B.C. and apparently the recipient of a broad-minded education — science, mathematics, drawing, music, law, rhetoric and history. He is believed to have apprenticed with a Greek architect, which gave Vitruvius the basic foundation and qualifications for becoming a subject matter expert (SME) on architectural principles. 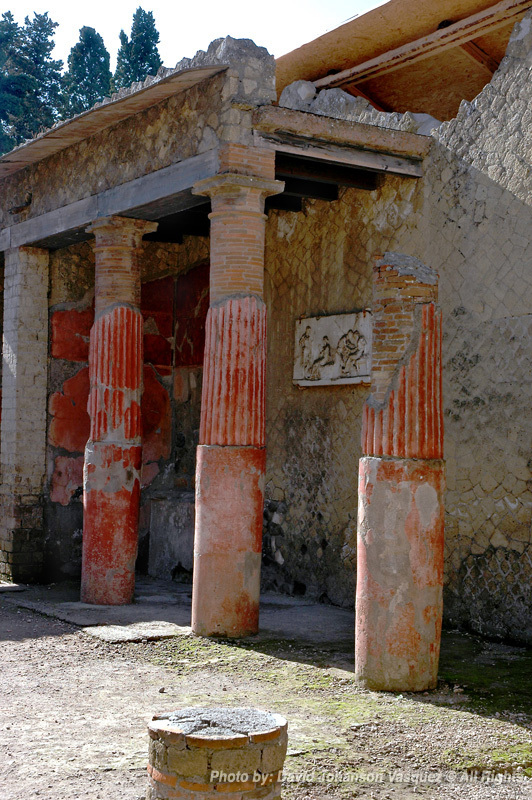 A series of columns line a walkway at the Herculaneum site, Italy. 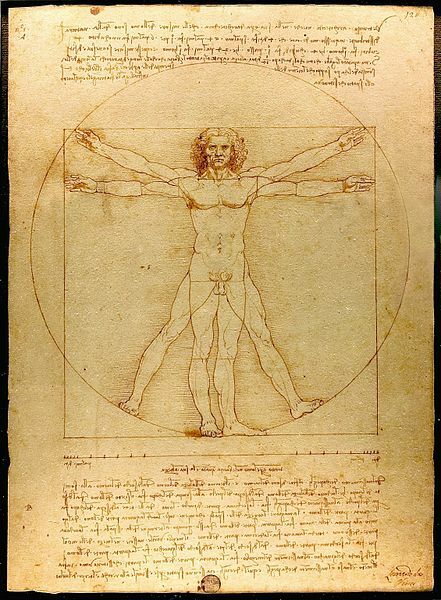 Vitruvian Man by Leonardo de Vinci was named after & inspired by Vitruvius. – This work is in the public domain in the United States, and those countries with a copyright term of life of the author plus 100 years or less. 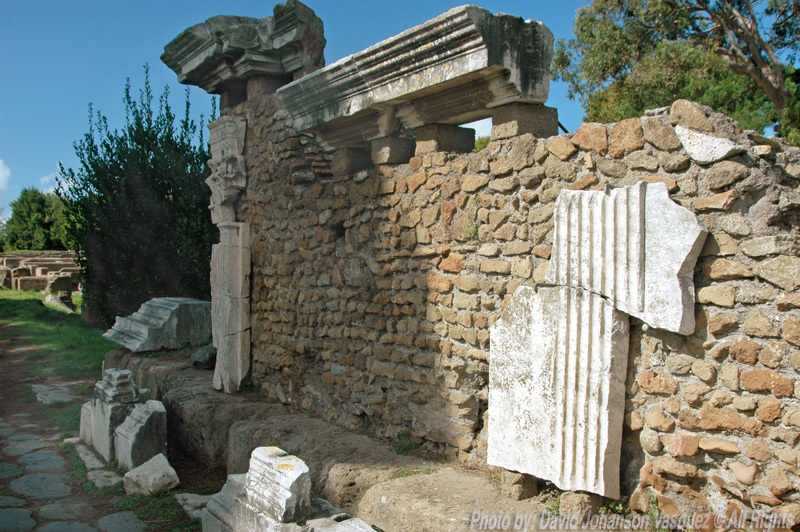 It’s speculated at the time Vitruvius began circulating his writing, wealthy Roman citizen’s private libraries were accessible to him for specialized study in architecture and engineering. An upheaval caused by the Empire’s civil and foreign wars channeled Vitruvius’ professional direction towards engineering military machinery. It may have seemed like an irony to him that his skills were being used to occasionally destroy architecture, rather than create it. 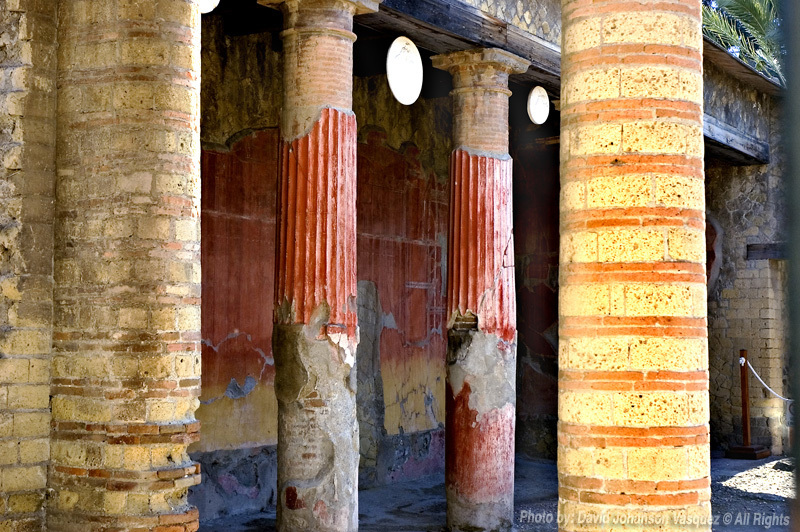 Contrary to popular belief, the Romans liberally used color & brick instead of marble. 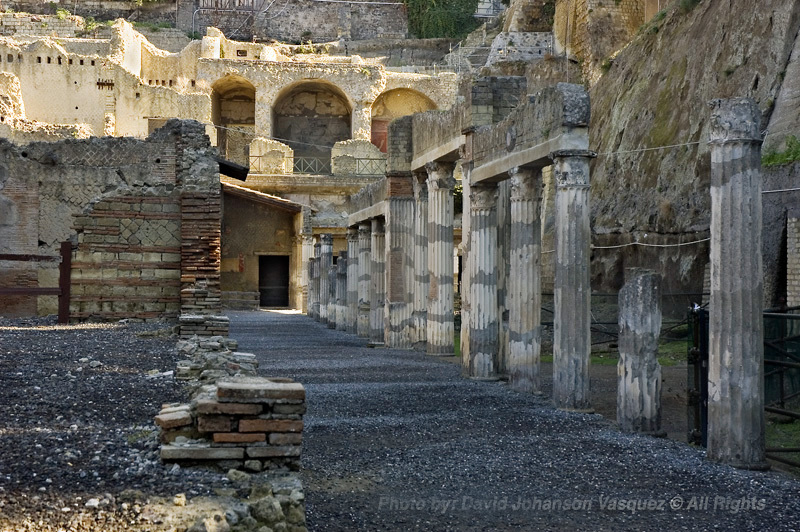 Herculaneum, Campania Region, Italy. 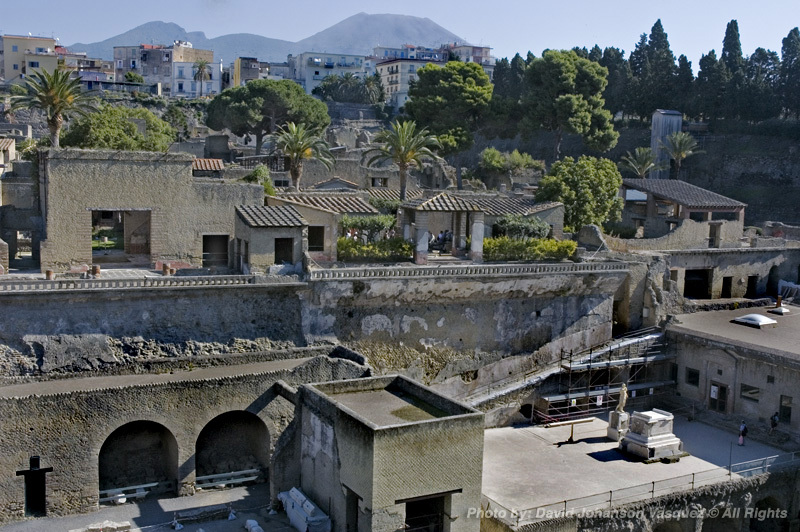 Julius Caesar’s father-in-law residence – Villa of Papyri is located at Herculaneum, which was buried along with the city of Pompeii in 79 A.D., by the volcano Vesuvius, seen in the upper top frame. With Octavian as the undisputed ruler of the Empire, he was granted the title, Augustus the Emperor of Rome. 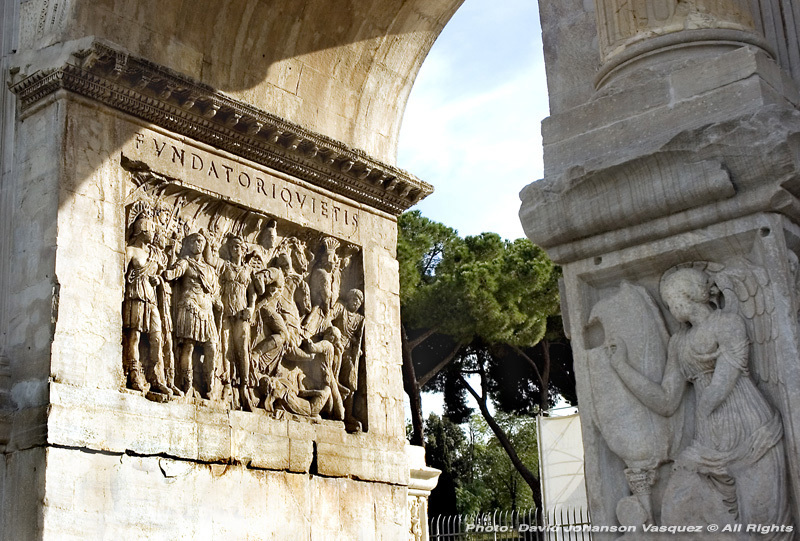 Augustus channeled Rome’s wealth towards cultural, civic and public works development. 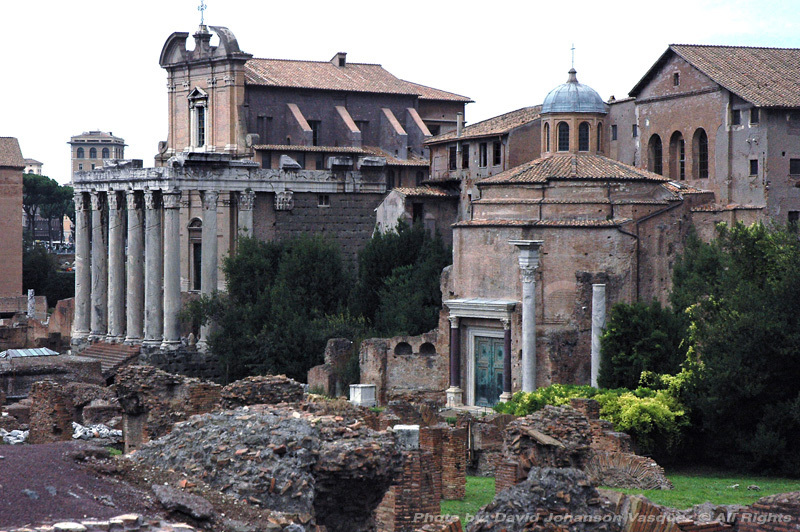 This reinvestment for Rome’s glory, eventually gave Augustus bragging rights, as he is quoted, ‘I found Rome built of bricks; I leave her clothed in marble.’ Augustus’ civic benevolence finally created an opportunity for Vitruvius’ great engineering and architectural contributions to move forward. An example of Roman ingenuity is in using brick for most of a building’s construction, then a facade of marble or limestone is applied and finally followed by vibrant color applications. 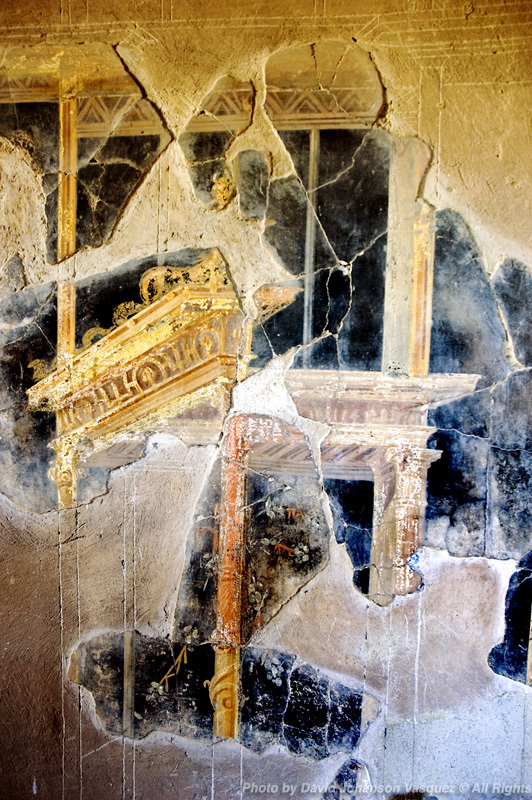 The white outline of the architectural structure show where the colors were applied — from inside a residence at Herulaneum site, Italy. As the saying goes — behind every great man there is a great woman. It’s Augustus’ sister, Octavia, who sponsors Vitruvius to write the architectural treatise. 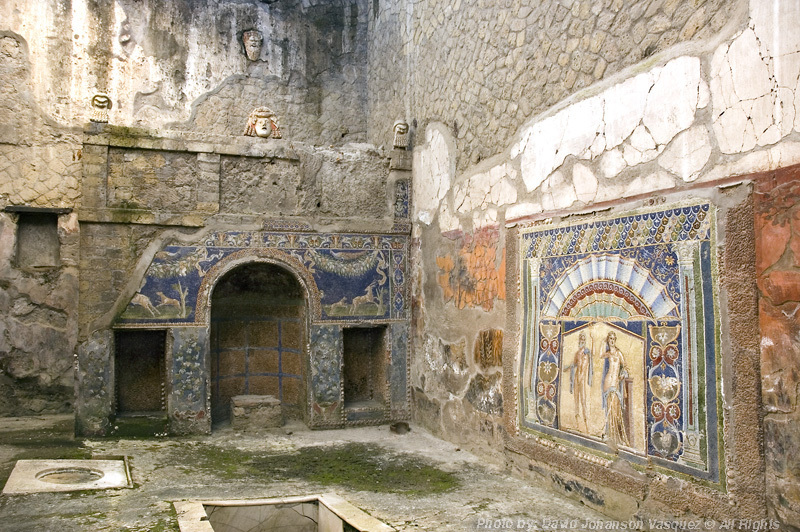 Interior of residence in Herculaneum. Mosaics were used to bring the outside world indoors. Officially, the Books of Architecture are dedicated to Augustus, who uses them wisely to help create a marvelous metropolis. 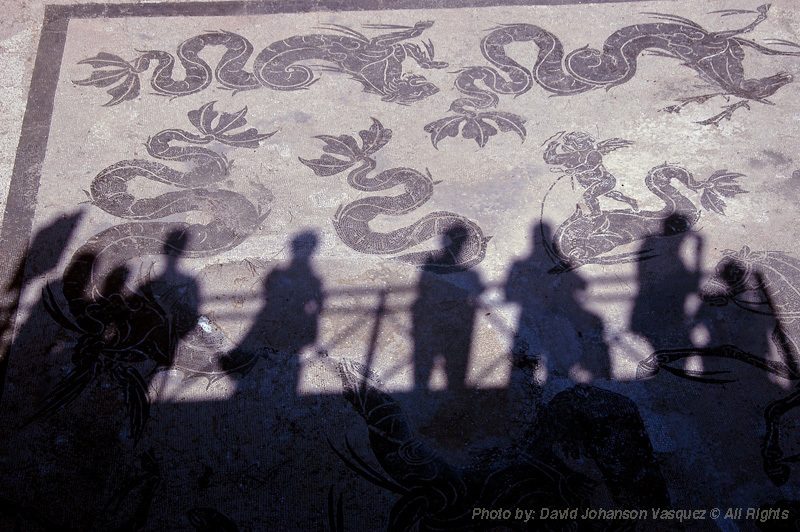 Mosaic tile in the ancient port city of Ostia Antica, Lazio Region, Italy. Vitruvius, throughout his career keeps a low profile, perhaps due to observing what envy and jealousy could inflict on the Romans who attempted to shine too brightly. 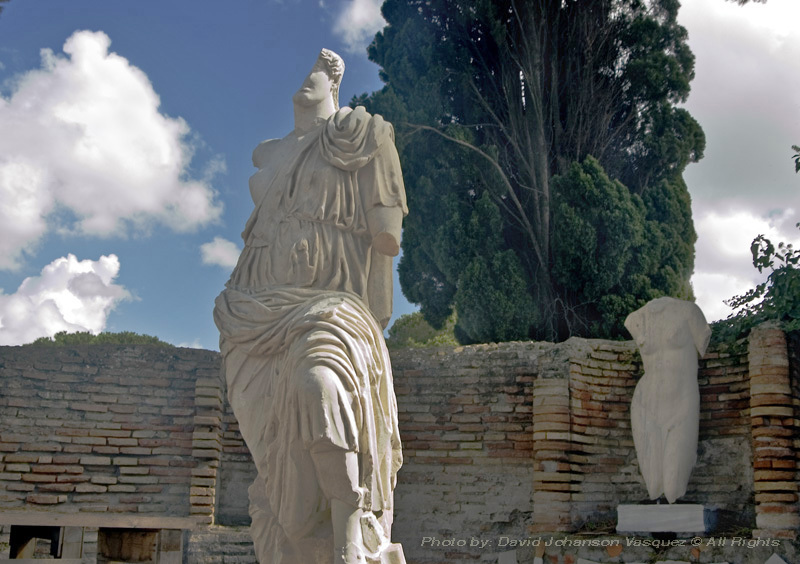 Statue in the ancient port city of Ostia Antica, next to the Tevere River, Italy. Cross section of Coliseum. 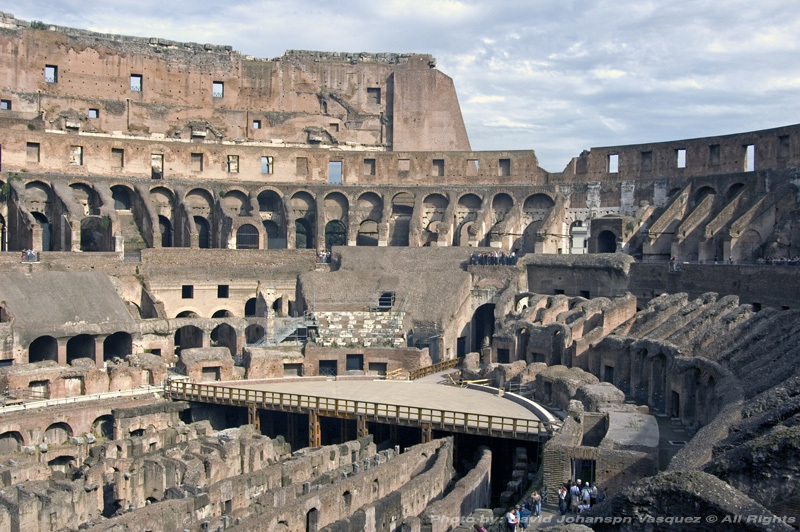 This two-thousand year old stadium is still in use today, with major music concerts & various events open to the public. 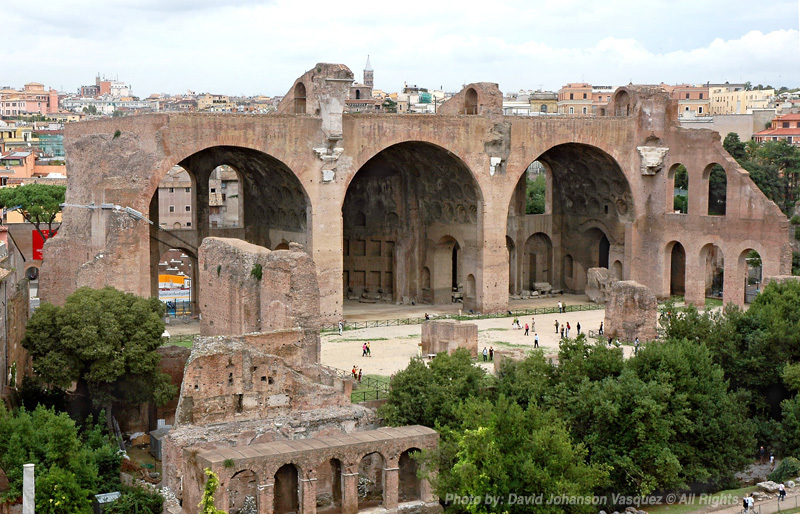 Past Nonconforming Standards In Architecture Threatens Rome’s Renovations. 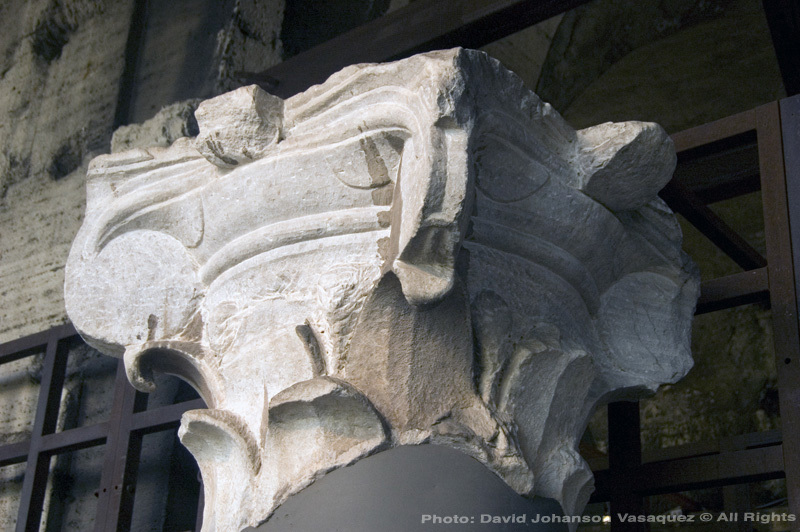 In antiquity, Hellenistic Greek architecture sets the standard for beauty, quality and form. The Greeks, inspired by much older civilizations established near the Mediterranean, refined architecture to its classical ideal. 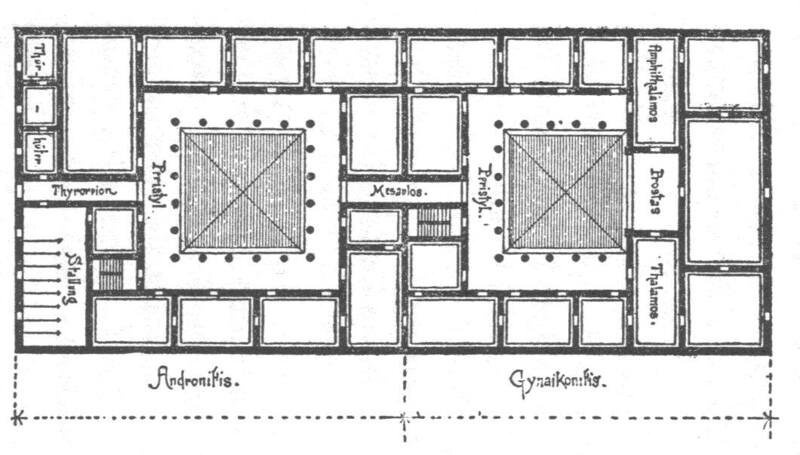 However, precious little had been written down regarding the styles and standards of Greek architecture, until Vitruvius ambitious efforts were realized. As a result of non conforming standards, instructional integrity of buildings could suffer with disastrous consequences, as well as the aesthetic beauty of religious, civic and private buildings. Ruins at Ostia Antica, Italy. Image Created by: Lasha Tskhondia – Creative Commons Attribution-Share Alike 3.0 – Some Rights Reserved. Vitruvius realizes the great advantages and value of researching classic Greek architectural techniques and styles. 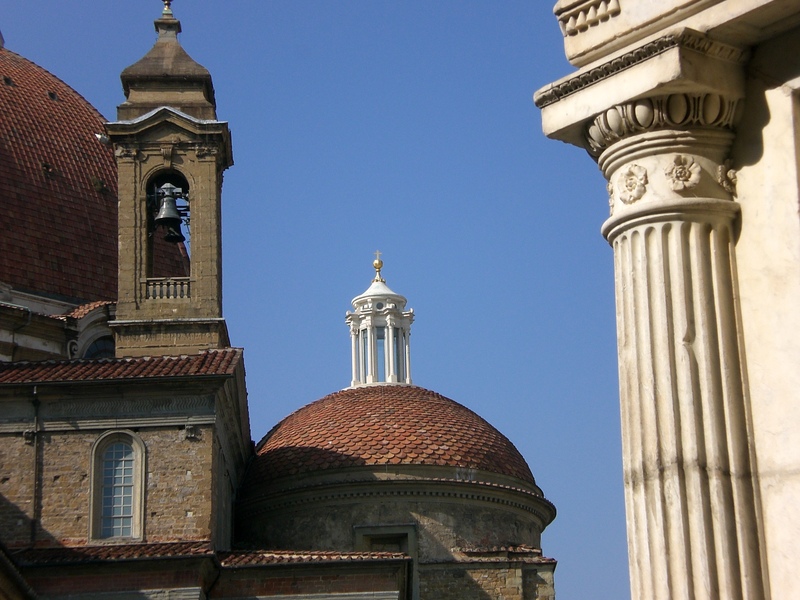 By developing a comprehensive series of books on the methods and theories of architecture — ancient Roman, as well as contemporary architecture greatly benefit from Vitruvius vision of recording the science, art and history of architecture. How Did Rome’s Vitruvius, Become The World’s First Subject Matter Expert (SME) on Architecture? —More to be uploaded on Vitruvius in the coming days. 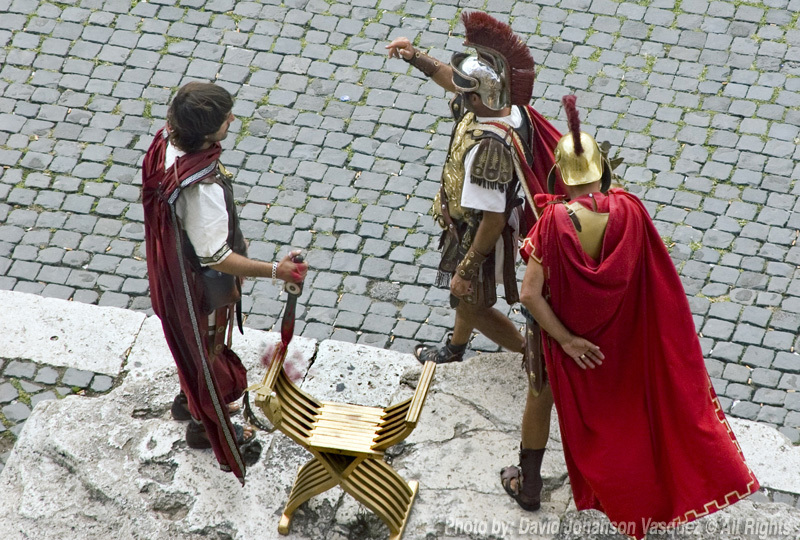 This entry was posted in Ancient History, Archeology, Architecture, Blended learning, Blended learning website, Blog with text and photos, Engineering, History of Engineering, Photo Essay, Roman Empire & Culture and tagged Ancient History, Ancient Roman music, Architectural History, Architecture best practices, Augustus renovation of Rome, Become The World's First Subject Matter Expert (SME) on Architecture?, blended learning, Conflict between Octavian and Marc Anthony and Cleopatra, critical thinking, David A. Johanson historian, David A. Johanson Multimedia Content Specialist, David Johanson Vasquez multimedia essay on Vitruvius, eLearning multimedia on architecture, Florence, Greek Architectural Standards, Greek Architecture, Hellinistic Greek Architecture, How Did Rome's Vitruvius, Italy, John Ruskin The Seven Lamps of Architecture, liberal education, multimedia eLearning on Vetruvius, Ocatavia's influence on Roman architecture, Pax Romana, Photos and graphics of Roman architectural designs, Roman architecture, Roman metropolis, Tuscany Region, Vitruvius, Vitruvius the World's First Impact Player In Architecture, Vitruvius' Books on Architecture, WPLongform by bigpictureone. Bookmark the permalink.